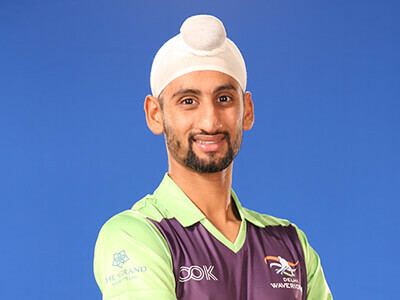 Mandeep Singh (born 25 January 1995 in Jalandhar, Punjab) is an Indian professional field hockey player in the Indian national field hockey team. 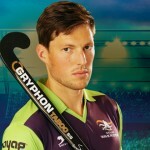 In 2013, he was brought in the first ever Hockey India League auction by the franchise Ranchi Rhinos and later putting a great show during the tournament. 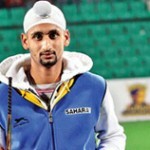 Singh made his debut for the Indian national field hockey team on 18 February 2013. Mandeep Singh has been awarded with Ponty Chadha Trophy for the Upcoming Player of the Tournament (2013) and Best Junior Player of the 2012–14 Men’s FIH Hockey World League Final (2014).